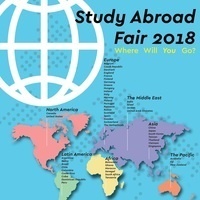 Study Abroad Fair 2018! Where Will You Go? Please join us in the Jamrich Lobby on September 18th from noon-4pm to learn all about studying abroad! You can: meet our partners, explore new programs, learn about internships, student teaching, and service learning abroad, see how academics in your degree program can be completed abroad, and win prizes! Studying abroad is very cool. In today's realities, we find ourselves in such a position that the study of various educational systems gives us an understanding of where the best educational system is. But each country has its own peculiarities. They can be overcome by using the site https://au.papersowl.com/speech-writing-service which is speech writing service. So it gives you the opportunity to quickly get used to the system of general education and understanding of the whole structure. I wish you to choose your path in this area and get a new experience.